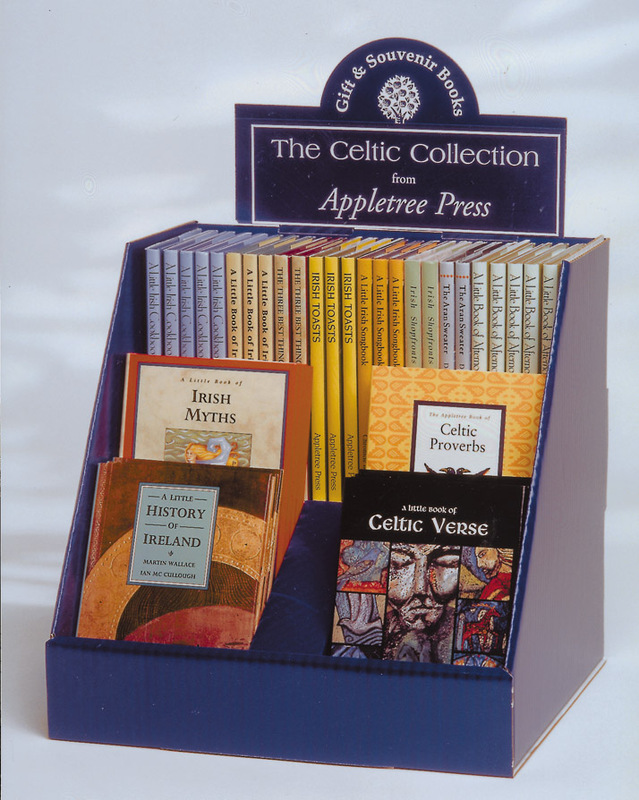 Appletree Press is able to provide retailers with a number of display options for the wide range of Appletree Press titles. From counter displays to floor standing static or mobile display stands, there is an Appletree Press display option which will suit your premises. You may wish to discuss options with your local sales representative or distributor. Our address is, The Old Potato Station, 14 Howard Street South, Belfast BT7 1AP.